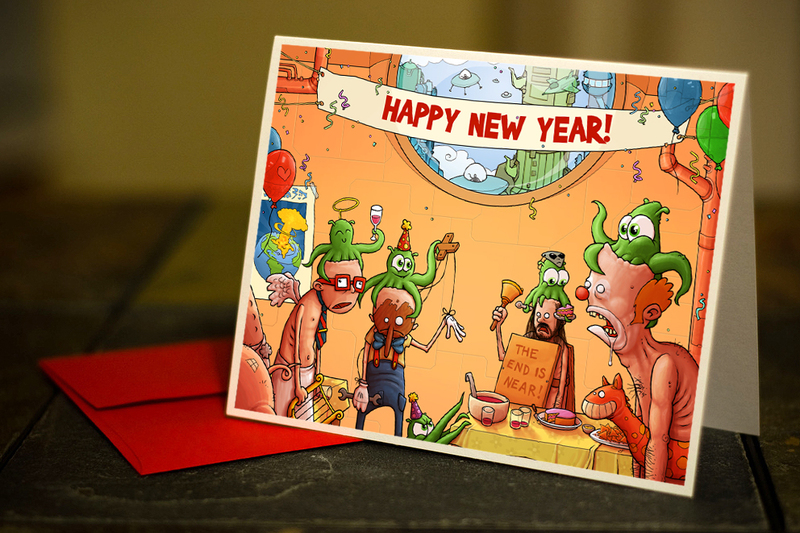 A fun little card I made to send out for new year. Never actually got around to printing it in time, but I still sent the image around to some friends and family. 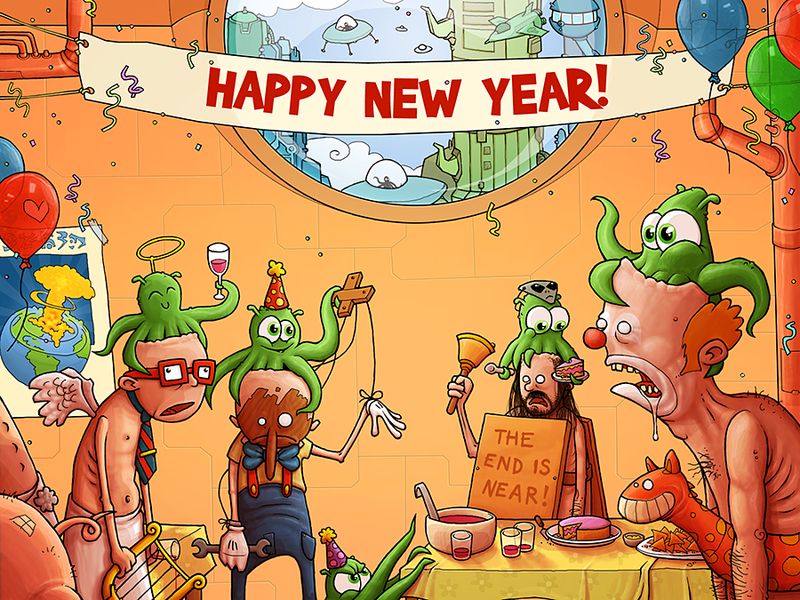 I wanted to do something fun and sci-fi, and also play into the whole doomsday thing that seems to pop up each year. Sketched and drawn out in Adobe Photoshop.